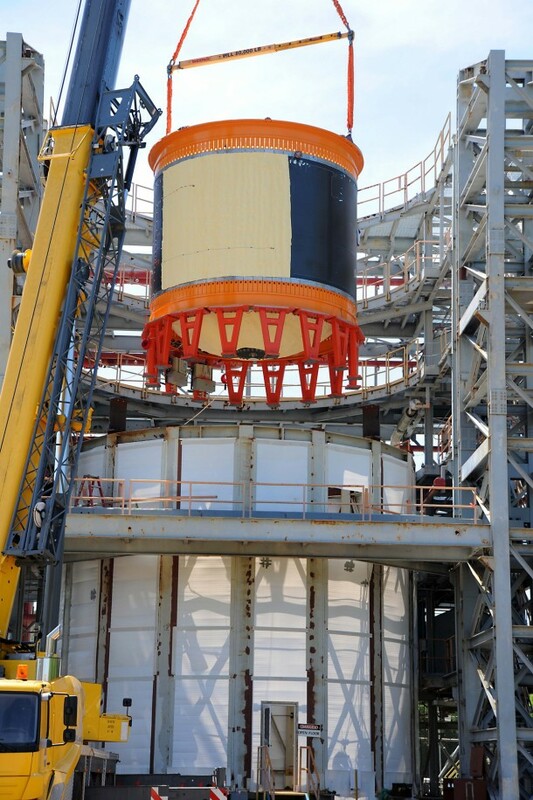 The demanding series of tests on the 18-foot (5.5-meter) diameter tank were conducted inside a test stand at NASA’s Marshall Space Flight Center in Huntsville, Alabama. Engineers added structural loads to the tank to replicate the physical stresses launch vehicles experience during flight. In other tests, the tank successfully maintained fuels at extremely low temperatures and operated at various pressures. Engineers filled the tank with almost 30,000 gallons of liquid hydrogen chilled to -423 degrees Fahrenheit, and repeatedly cycled the pressure between 20 to 53 pounds per square inch — the pressure limit set for the tests. The composite rocket fuel tank, which arrived at Marshall on March 26 aboard NASA’s Super Guppy airplane, was built by the Boeing Company near Seattle. The project is part of NASA’s Space Technology Mission Directorate, which is innovating, developing, testing and flying hardware for use in NASA’s future missions. Over the next year, the directorate will make significant new investments to address several high-priority challenges in achieving safe and affordable deep space exploration. Next-generation technologies including composite systems have the potential to make rockets, including NASA’s Space Launch System — a deep space rocket being developed at Marshall — more capable and affordable.